Hello everyone, I am Elisa ! Do you want to know more about me ? Everything is here. Since my childhood, I am passionate about design, web and digital marketing, that's why I decided to focus my studies on digital and creation. Very early on, at school, I love artistic subjects and I choose options in art, but it is in high school that I go to the arts and drawing by choosing a "STI Arts Appliqués" class. That's why the next year I started a degree in graphic design at LISAA Paris. We learn how to create and think our work, use software (Photoshop, Illustrator, InDesign, After Effect, Dreamweaver, Wordpress ...), illustration, editing, visual communication, UX / UI and the webdesign. In short, I am multi-skilled ! I multiply professional and personal projects, I continue to learn and consolidate my knowledge. Do not hesitate to contact me, I am open to any professional opportunity. Graphic design, Illustration, Webdesign at LISAA, Paris. Degree in graphic design. Development of graphic design, colorimetry, UX design, websites, illustrations, editorial work, computer graphics and videos from after effect. Fashion year at LISAA Paris. Acquisition of knowledge on fashion, trends and textile design. Creative design and collection of ready to wear. Textile and model design. Communication and development project. Webdesigner at Wax Interactive (SQLI Group). Creation and integration of responsive newsletters. Design and editorial content. Email and web page integration. Creation of banners for websites and web banners in html5. Teammate at UGC Villeneuve d’Ascq. Peoples flow management (reception, support and control), sale of UGC products and services. Realization of a digital press file for the promotion of the HubTraiteur startup company. Full layout, choosing and retouching photos, creating digital images and layout. Graphic design for the website and visuals for the launch of Red Innov. Graphic works of various projects for the research team of the University Lille 1. Graphic works in collaboration with the Association Sénégal59 Creation of brochures, posters and flyers for events. Creation of visual Identity and Website for PhD students of the University Lille 1. Teammate / Barista at Mc Donald’s. Barista and restaurant training, customer reception , bar, kitchen, management of Mc Café stocks. Webdesigner for the new website of Investir 99. Internships at Investir 99, I worked on the design of the website , visual identity and corporate communications . Reception and coordination of foreign teams at the European Championship of Polocrosse. Collaboration with Christine Satin of 5 minutes de soleil en plus. Performing an illustration for the website and various prototypes in perfumery accessories. Reception and Public guide at Who’s Next in Paris Porte de Versailles. 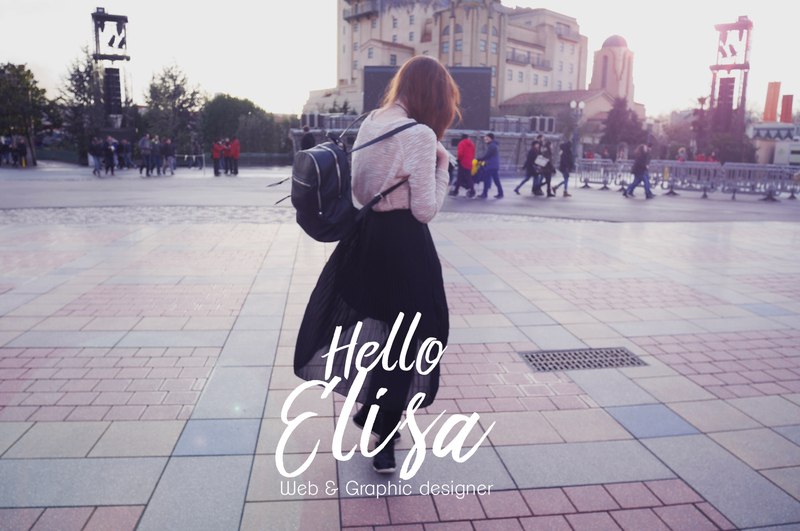 Blogueuse Mode et Lifestyle: Hello Elisa. Lifestyle & Fashion Blogger: Hello Elisa. Design and blog integration. Animation of a fashion & lifestyle blog. Writing content, creating illustrations and images, pictures retouching. Organization of contests and events. Research & implementation of traffic increase levers. Management of partnerships.